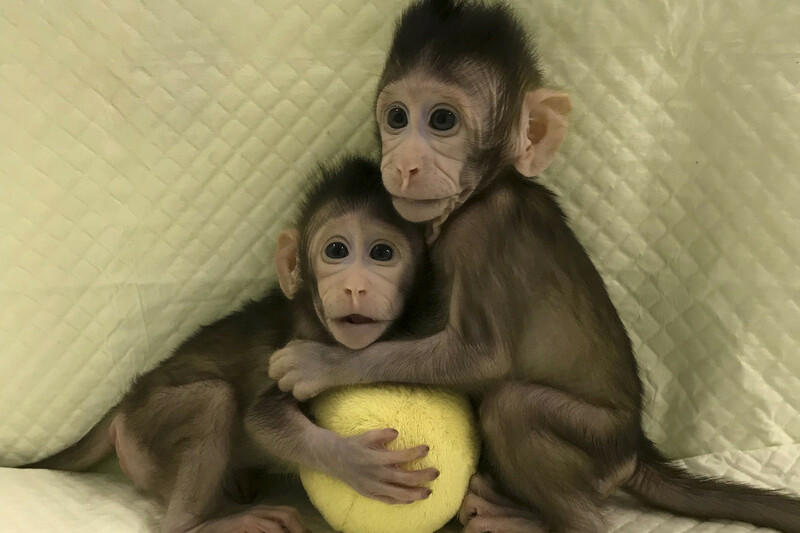 Cloned monkeys sit with a toy in a photo provided by the Chinese Academy of Sciences. The cloning method that produced Dolly the sheep was used to create two healthy monkeys for the first time. Photo: A man and his camel walk past as the sun is blocked by the moon during a solar eclipse in Gaotai, Gansu province. August 1, 2008. Reuters, Aly Song (China). Thank you Lorne for sharing.